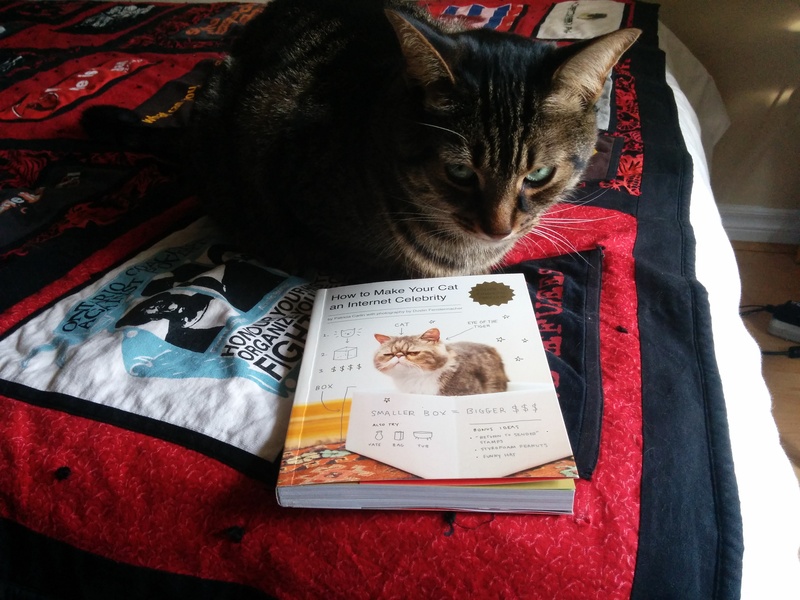 Recently, Jenny’s sister Joyce and her husband Tomi purchased Virtute and I the most thoughtful gift, the critically acclaimed book How to Make Your Cat an Internet Celebrity: A Guide to Financial Freedom. We’ve been reading the book together and picking up some important strategies for improving our blog. Virtute has complained ad nauseum about some of the cheeky “cute cat” strategies that he calls “base and crass,” but we’ve both been able to agree on one piece of great advice from the book – we need a “year in review” post. When prompted about his favourite music of 2014, he noted “I did take a peak at the Pitchfork Top 50 of 2014 and frankly I was disappointed that Taylor Swift’s 1989 did not rank #1. I mean #31 is still respectable, but only Pitchfork could dig up 30 albums that could possibly have made my booty shake less than T.Swizzle.” Then without prompting, he acknowledged that he already had a best album of 2015. I asked how that could be possible? He said, “Well if Drake keeps his promise and drops Views from the 6, then I can’t see any album being as incredible. It might be the album of the century!” Virtute is loyal to a fault. Onwards to 2015! Year of the Cat.